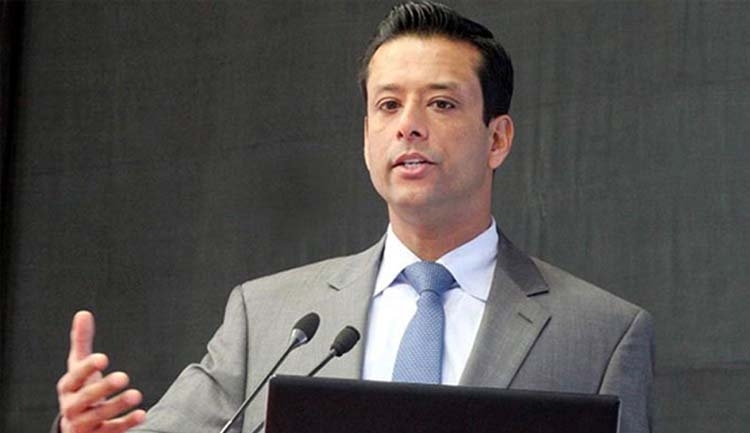 Prime Minister’s ICT affairs adviser Sajeeb Wazed Joy has come up with his opinion regarding the 11th parliamentary election held on December 30 last year. Joy, also the son of Prime Minister Sheikh Hasina, gave the status on his verified Facebook page on Friday night explaining the reasons behind the victory of Awami League and also the defeat of Oikya Front in the elections. The BNP and Oikyo Front, having been thoroughly rejected by our voters, have taken to begging their foreign masters for help. They are on an international lobbying and PR blitz to try to prove that our elections were rigged. The fact is that it is mathematically impossible. The Awami League's margin over the BNP is about 49 million votes. It is simply not possible to manipulate elections by 49 million votes without it being caught on everyone’s mobile camera. As for their claims of voter intimidation, even if every voter who did not vote for AL voted for the Oikyo Front, they would still be more than 22 million votes short. Still, a section of our so called "civil society" continues to join the BNP’s international PR campaign against our election. I would like to address all their complaints and raise a few of my own. The first complaint is that voter turnout was too high and indicates false votes. The final voter turnout figure is 80% and it is not a record in Bangladesh. That distinction is held by the 2008 elections under the 2007-2008 "caretaker" regime when turnout was 87%. The AL won that election in a landslide with 48% of the vote by itself. In 2001 the voter turnout was around 75.6% and in 1996 it was 75%. Turnout was just slightly higher because this is the first fully participatory elections in a decade. So why did the Oikyo Front receive so few votes? There are some very logical reasons. The BNP’s Chairperson has been convicted and is in jail. Their Acting Chairperson is a fugitive who is not even in Bangladesh. Their organization is in complete disarray. But those are not the most significant factors. There is one factor our “civil society” doesn’t want to acknowledge as it makes the BNP look really, really bad! Finally, the only message the BNP and Oikyo Front had for the people of Bangladesh is that the AL is bad. Given that the people could see the visible improvements in their lives over the past decade of the AL Government this was an extremely tough sell. The Oikyo Front’s figurehead Kamal Hossain did not even run in this election. Why is that? It is because he knew he had absolutely no chance of winning a seat for himself. Of course, they surprised us. For the very first time in their existence as a political non-entity, his Gono Forum has actually won not one, but two seats! If there was any rigging in these elections, how could an opposition party that has never won a single seat win two? The truth is far simpler. If you’re a citizen and especially a youth who sees a dynamic leader such as Sheikh Hasina developing and transforming the country, it won’t matter how much mud the opposition slings. At the end of the day you are going to vote for the party that is improving your life and the country.